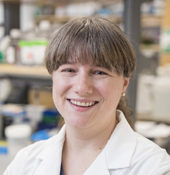 Three breast cancer investigators from Vanderbilt-Ingram Cancer Center (VICC) have been awarded research grants from Susan G. Komen, a nonprofit foundation devoted to supporting cancer research, community health outreach, advocacy and public policy initiatives. Brian Lehmann, Ph.D., research assistant professor of Biochemistry, has been awarded $300,000 to study triple-negative breast cancer (TNBC). This deadly type of breast cancer is especially resistant to many therapies and is more common among African-American women. The best anti-tumor agent is the patient’s own immune system, but human tumor cells find mechanisms to block or dampen the immune response. In this study, Lehmann will implement a new computer algorithm to identify rearrangements in the RNA of TNBC and will investigate how proteins encoded by these rearrangements suppress the immune response to breast cancer. The goal is to determine which rearrangements are potential targets for drug therapy. Deanna Edwards, Ph.D., research fellow in the Division of Rheumatology, will receive $180,000 to study new therapeutic options for TNBC. Tumors from TNBC patients often depend on increased metabolism of glucose and amino acids and these metabolic alterations can have a negative impact on immune cells found within the tumor. Increased tumor metabolism by the receptor tyrosine kinase EphA2 significantly contributes to numerous aspects of tumor progression in breast cancer, leading to a poorer overall prognosis. This study aims to determine the therapeutic potential of targeting EphA2 to block tumor metabolism and improve response to immunotherapies. Komen Scientific Advisory Board Member Carlos Arteaga, M.D., received $200,000 earlier this year to continue to investigate how estrogen receptor-positive (ER+) breast cancers develop resistance to current anti-estrogen therapies, like tamoxifen. This research could enable clinicians to offer patients a more precise treatment plan, including combination therapies, to prevent drug resistant breast cancer from developing or recurring. 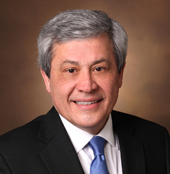 Arteaga recently was named director of the Harold C. Simmons Comprehensive Cancer Center and associate dean of Oncology Programs at the UT Southwestern Medical Center in Dallas, Texas. 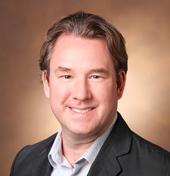 He retains a faculty position at Vanderbilt and continues to collaborate on research at VICC. To date, Susan G. Komen has invested more than $2.9 billion in breast cancer initiatives in more than 60 countries.